We all have hymnals filled with wonderful songs and hymns. 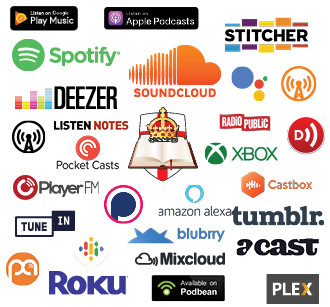 In Ephesians Chapter 5 verses 18 and 19 we read, And be not drunk with wine, wherein is excess; but be filled with the Spirit; Speaking to yourselves in psalms and hymns and spiritual songs, singing and making melody in your heart to the Lord. 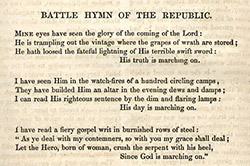 In most hymn books across this country, there is a song that should not be there - The Battle Hymn of the Republic. We take a look at the history of this song and why it does not belong in the category of Christian hymnology. It should not be included in our hymnbooks. Now, the war had begun, the war that we called the Civil War, which was not really a civil war. It was a war between the states, because thirteen states had officially pulled out. They were not trying to take over the government in Washington, it was a separate country, separate cabinet, separate President, separate capitol city, and separate armies, so they were fighting one another as two separate countries. But there was a woman, the wife of Samuel Gridley Howe, the medical doctor, and Mr. Howe was a rich man, and he met these three sisters, and they were the Ward sisters. They were intelligent. They all had a lot of money from New York and he fell in love with Julia.